As people discover the benefits of water fountains, their popularity continues to rise. Today, they can be found in homes and businesses throughout the world. Dealing with stress is something that everybody has to do in this day and age. After a challenging day, it is important to find ways to relax and unwind. One excellent option is to sit next to a water fountain, listening to the soft sound of the gently flowing water. 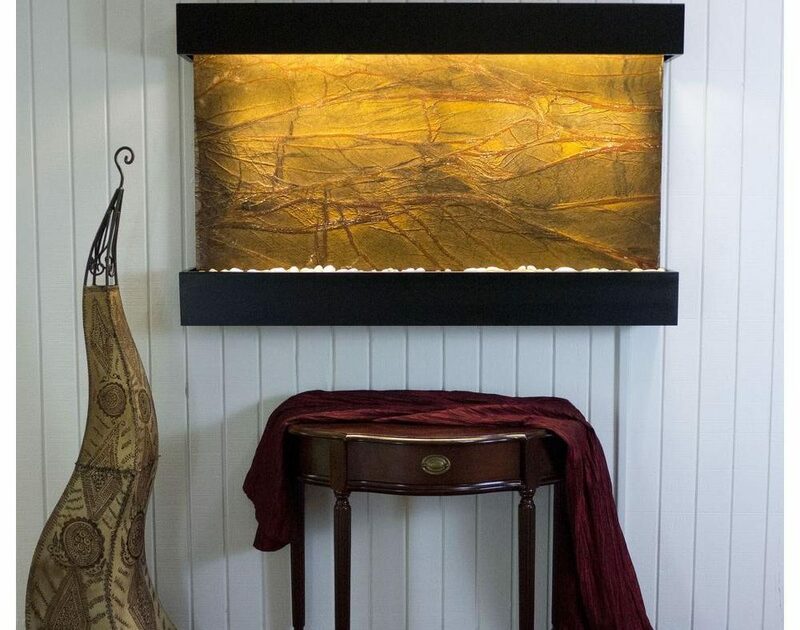 Putting a fountain in a room where you spent a lot of time or in a dedicated outdoor space at your home is a great way to create a relaxing area where you can decompress. Choose a fountain that creates a soothing level of noise, avoiding fountains that are too loud or too quiet. Consider opting for a fountain with an adjustable pump so that you can control the flow of the water. If you need help selecting a fountain, feel free to give us a call. Depending on your preferences, fountains can be used inside or outside your home. 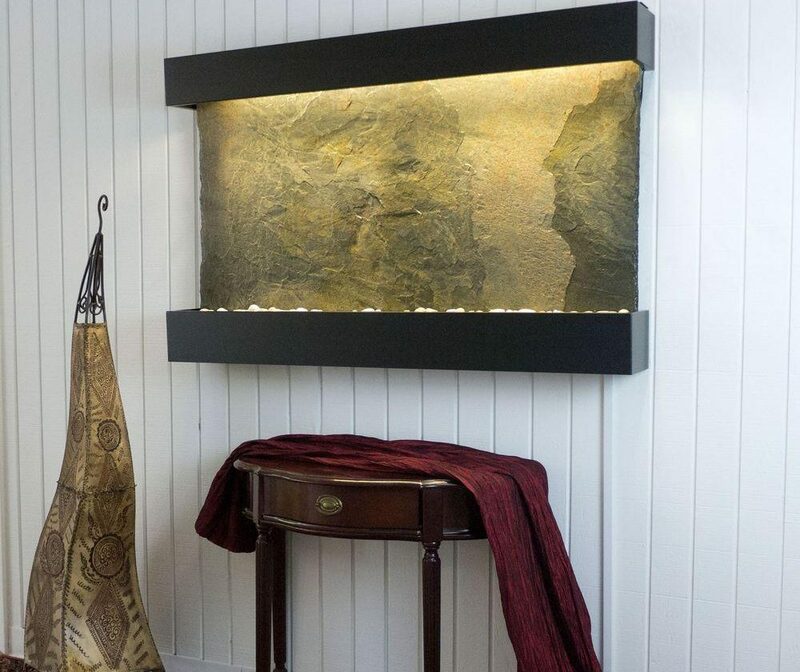 Indoor fountains come in many different styles including small tabletop versions and large wall fountains. For outdoor use, there are floor-standing, tabletop, and wall-mounted fountains available, as well. No matter where you choose to install a fountain, it acts like a living, moving piece of art, naturally drawing people in and creating a beautiful focal point for your home. As water flows through a fountain, it naturally humidifies the air, adding much-needed moisture. Although you can use a humidifier, they tend to be noisy and unattractive. Fountains, on the other hand, are soothing to listen to and add beauty to your space while at the same time humidifying the air. Because the water in the fountain is always on the move, problems with mold and mildew are unlikely to occur. The same can’t be said for using a humidifier. Indoor plants can benefit greatly from the use of a fountain – particularly during the winter months when furnaces have a tendency to dry out the air – if interested look at Soothing Company for tips. Placing a water fountain in your home can increase the number of negative ions in the air. Negatively charged ions help attract contaminants like dust and allergens, purifying the air. As the water continues to move through the fountain, it not only creates beautiful sounds but also helps clean the air in your home, making it healthier to breathe. Compared to air purifiers, fountains are a much more attractive option. They typically are also a lot less expensive, with many models costing far less than $100. If you have a pet, you probably have noticed that they love drinking out of hoses and faucets. There is a reason for that. Animals are naturally drawn to moving water. Putting a fountain in your home is a great way to keep your pets hydrated since they most likely will love drinking from the fountain. If you plan on allowing your pets to drink from the fountain, just avoid using any chemicals in the water that could pose a risk to their health. If you experience problems with algae, you can always try a pet-safe enzymatic cleaner like the Carefree Enzymes Fountain Protector. Nothing is worse than living in a noisy environment. One way to solve the problem is by using a fountain. The sound of the water is extremely effective at masking irritating noises. Sounds like barking dogs or cars going by on the street outside can easily be masked with a fountain, helping to create a calmer, more soothing environment inside your home.